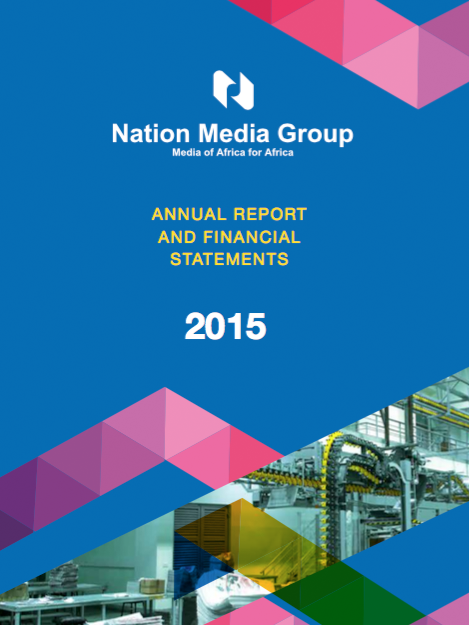 Nation Media Group is the largest independent media house in East and Central Africa with operations in print, broadcast and digital media, which attract and serve unparalleled audiences in Kenya, Uganda, Tanzania and Rwanda. 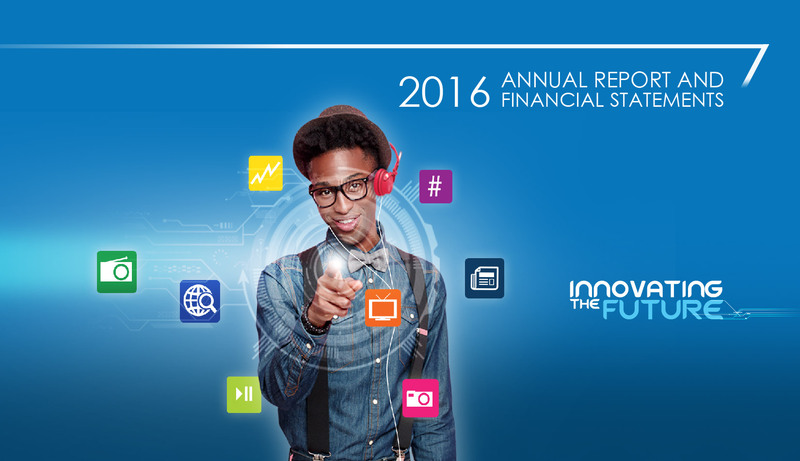 This is the Group’s audited financial results for the year ended 31 December 2017. Digital Division experienced 14% growth in line with the Group’s strategy to drive revenue. 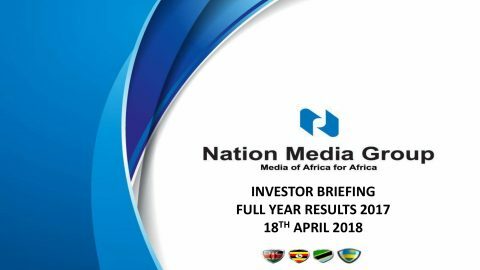 The board and management of Nation Media Group released the group’s financial results for the the first half of 2018. The directors of Nation Media Group Limited (the Company) are nominated by the Board and are elected at the Annual General Meeting on the basis of their professional competencies, personal attributes and the contribution they can make to the development of the business and the governance of the Company. Nation Media Group has appointed Stephen Dunbar-Johnson to its Board of Directors. 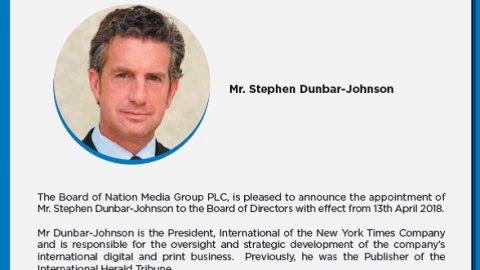 Dunbar-Johnson is the President, International, of The New York Times, where he is responsible for the oversight and strategic development of the company’s international digital and print business. 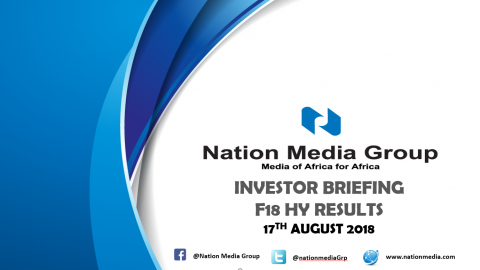 His addition to the NMG Board is in line with, and adds significant value to, the firm’s drive to strengthen its growing digital arm and strategy. 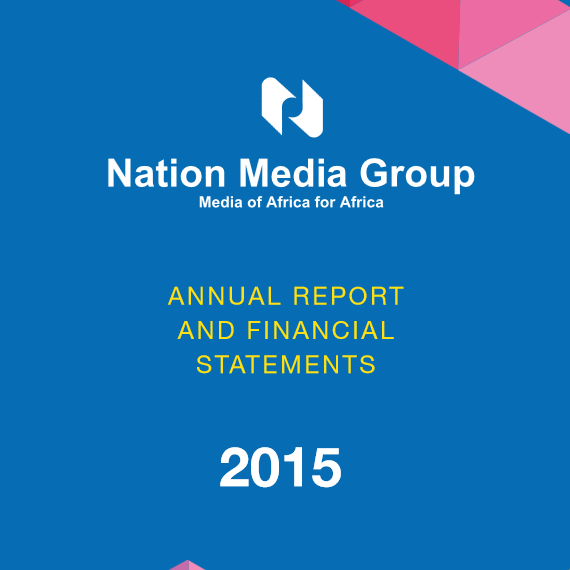 The board and management of Nation Media Group released the group’s financial results for the year ended 31st December 2017 and offer an outlook for 2018.